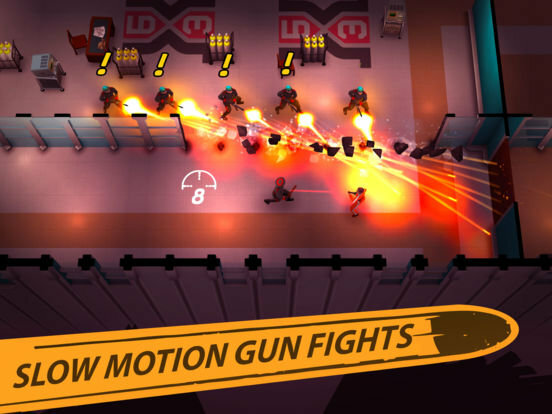 One of last week’s stand out new iOS releases was certainly the story driven top-down shooter, Time Recoil. You are a member of the Recoilers and you have the ability to travel back and forth through time. Time travel doesn’t seem to affect you as it does others, most-importantly, you don’t die when you do it. You’ve been tasked with an important mission, “Kill Mr. Time”. This nefarious man controls a time-based weapon of mass destruction and you must stop him in the past in order to save the future. Throughout the course of the game, you will be tasked with a variety of missions from assassinations to collecting intel and recruiting critical scientists from the past in order to expand the reach of your wormhole to go farther and farther into the past. When you kill your targets, time slows down and subsequent kills extends this bullet time. The more kills you perform in a row (during the slow down), the better the special move you unlock. From the ability to dash through walls to completely freezing time, these new abilities let you pull off some unimaginable feats and are crucial to successfully completing your missions. One aspect of Time Recoil that I particularly enjoyed was that, unlike most top-down shooters, ammo is really limited. This means that the player has to be more strategic and can’t just go through levels spraying bullets at everything. It is a brilliant game that I thoroughly enjoyed and one of my favorite titles to come out of 10tons Ltd. If you are interested, you can listen to my full thoughts about Time Recoil us the latest episode of the AppAdvice Weekly podcast. You Mentioned Free Copies…How do I win? The developer, 10tons Ltd. has been generous enough to offer us up a FIVE free copies to give away to some of our lucky readers! 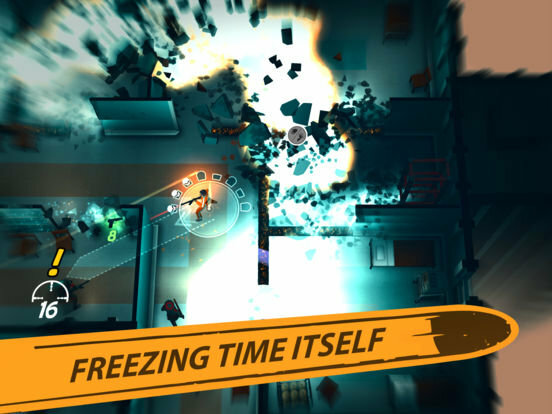 So if you want a chance of winning a free copy of Time Recoil enter using our simple gleam form below.